We are manufacturing Wheel Hub. Offering manufacturing and job work for Wheel Hub. 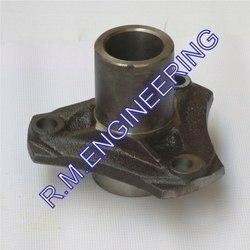 These forgings are done in the most cost effective manner and produced flash less. Highly advanced techniques and latest equipments are used while fabricating these products. As per customer requirement and specification in any range. We have emerged as a reckoned name by offering exceptional quality Front Hub Three Wheeler to our prestigious clients. Our team of engineers precisely manufactures these products in compliance with industry set parameters. These products are widely demanded by our clients for their user friendly features like seamless finish, corrosion resistance and friction free operation. Offered products are used in various automotive industries. 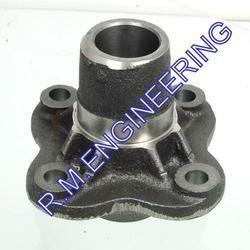 We are counted among the leading manufacturers and suppliers of premium quality Three Wheeler Hub. Our engineers precisely manufacture these products by fine quality raw materials, under the supervision of expert team. Offered products are appreciated for their seamless finish, dimensional accuracy, compact design and corrosion resistance. Our products are easy to install and we offer these at industry leading price. 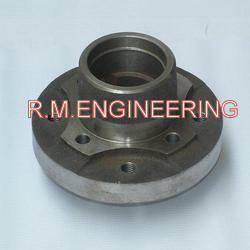 We are offering high quality Three Wheeler Front Hub to our esteemed clients. These products are precisely engineered by using raw materials that have been sourced from trustworthy vendors. In the manufacture our professionals use advanced technology and latest machinery to bring out a flawless range. Offered products are widely demanded by our clients for their application oriented features like seamless finish, friction free operation and corrosion resistance. Our organization is counted among the most prominent manufacturers and suppliers of high quality Front Hub Cruiser to our prestigious clients. These cruisers are precisely engineered, under the supervision of expert team using quality tested raw materials. The products, we offer are widely appreciated for their compact construction, dimensional accuracy, abrasion resistance and easy installation. 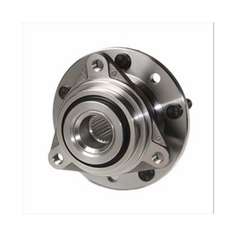 These Front Wheel Hub are made and fabricated with top-grade materials and have high durability. Our product range is fabricated from high quality raw material as per industry norms to meet the various specified requirements of our valuable clients. 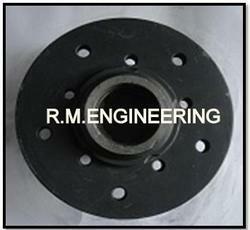 Forging Wheel Hubs could be made by the carbon steel, alloy and other materials. Our organization is instrumental in offering highly durable Front Hub to our prestigious clients. These products are precisely engineered by best quality raw materials, according to industry set guidelines and parameters. Offered products are appreciated for their compact construction, dimensional accuracy, easy installation and durability. 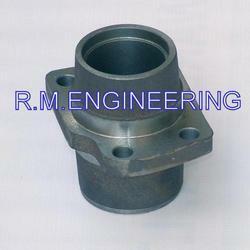 Known for their corrosion and abrasion resistance, these hubs are applicable in automobile industries.